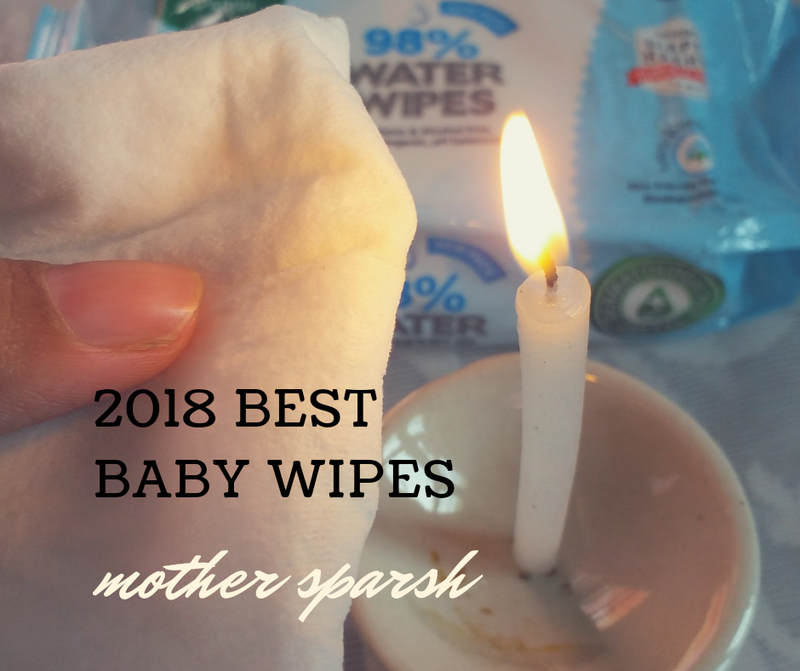 After having my first child I was open to trying all different brands of wipes to figure out what I liked and tried a variety of wet. 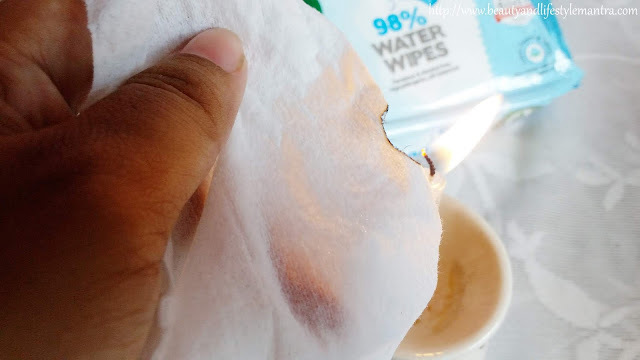 My main issue with these wipes is I don't feel they are made with pure natural fabric and their fragrances. Even sometimes I don't feel they are performed properly to allow you to pull out one wipe at a time. I switch to Mother Sparsh baby wipes when my second baby born. I am using this wet wipes since the second week of her birth. Last month she had red rashes on her diaper areas and my father told me to skip wearing diapers and stop using baby wipes (my father is a pediatrician). I was a little shocked when he told me to stop using baby wipes. As per his concern baby wipes, are contains alcohol which can dry out and irritate the skin. Another thing he added that Baby Wipes are made with polyester which tends to irritate baby skin. I know any mother would be worried when they hear such words from an experienced pediatrician. Actually, as a pediatrician, my father did not say anything wrong. Most of the wet wipes contain chemicals and some acid compound used as a preservative, which makes up a great deal of the wipe. Chemicals used as a preservative that also kills bacteria, and they are widely used in many cosmetic and skincare products. As we all know baby’s skin is 80 times more sensitive than an adult skin, so these chemicals can easily be absorbed into the baby’s skin. So whether the chemical or Parabens is used at any level, it is not a blessing for the baby's sensitive and delicate skin. The second most important thing is the fabric. Since baby wipes are commonly used to clean the baby’s bottom so we need to ensure the fabric of the wipe. Most of the Brand use polyester for wipes to reduce prices. But this material tends to irritate baby skin and polyester is not a 100% biodegradable material. So now there is a big question. Then which brand would we believe for wet wipes and how? How to test them etc. etc. so many questions come to our mind. Now, I'm talking about Mother Sparsh baby wipes. If you check their ingredients list carefully, then you will find the very useful name of the natural ingredient such as aloe vera, jojoba oil. Mother Sparsh wipes use 98% of water which is as good as cotton and water. To see the amount of water is in it you just squeeze a wipe and actually squeeze the water out. If you did that with other brands, nothing happens. These wipes have contained enough water. These wipes are made of 100% biodegradable material, there is no polyester goes in making these wipes. It has zero polyesters. How can I claim this? Yes, I did a very easy and simple test at home and that proves its a polyesters free wipe. - Then again take a Mother Sparsh wipe and burn it too. After burning the wipes if it smells like plastic then it means the fabric of the wipes has a percentage of ‘polyester’.On the other hand, during the burning, if you smell like burning paper or a cotton cloth, it means that the wipes are made up of natural fabric. There is no presence of plastic. And in this observation, Mother Sparsh baby wipes has passed. So Mother Sparsh baby water wipes are 100% polyester free which has super soft fabric and environment-friendly as it is 100% biodegradable. 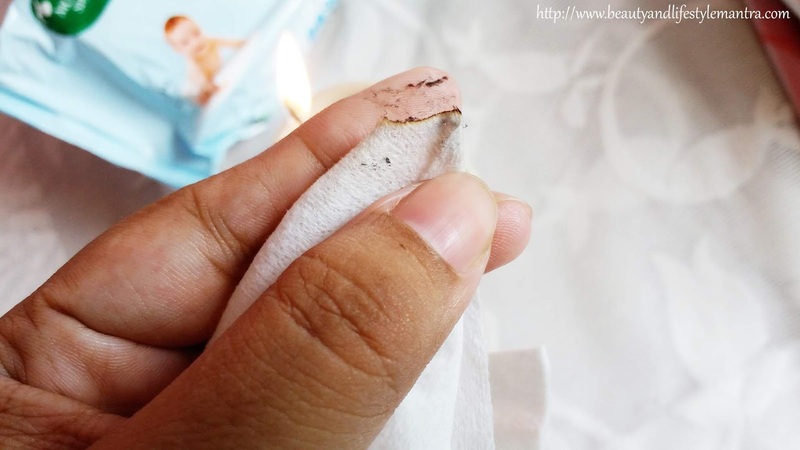 After burning of the ordinary wipe I found the edge of the wipe becoming hard and the fabric of Mother Sparsh baby wipe turns into ashes after burning. And it proves that the baby wipe is genuinely made with 100% cotton. After this Flame Test at Home, It has passed in my test and very happy to say that it is a safe product for my both newborn and toddler. Have you tried this test at home? Please comment below and share your experience.